The song became Dion’s biggest hit, and one of the best-selling singles of all time, and was the world’s best-selling single of 1998. The music video was directed by Bille Woodruff and released at the end of 1997. Due to the song’s widespread popularity when it was released, it is considered to be Dion’s signature song. Today, along with two other songs from film soundtracks, Whitney Houston’s “I Will Always Love You” from The Bodyguard and Bryan Adams’s “(Everything I Do) I Do It for You” from Robin Hood: Prince of Thieves, it is considered one of the biggest love ballads of the 1990s. James Horner had originally composed the music for the song as an instrumental motif which he used in several scenes during Titanic. He then wanted to prepare a full vocal version of it, for use in the end credits of the film. Director James Cameron did not want such a song, but Will Jennings went ahead anyway and wrote the lyrics. When Dion originally heard the song, she did not want to record it. Horner showed the piano sketch to Simon Franglen, who was working with him on electronic textures and synthesizers for the film score. Franglen, who had, himself, worked with Dion for several years on many of her major hits to date, programmed and arranged an extensive demo to take to Dion. In Tommy Mottola’s book, Hit Maker – The Man and his Music, he claims that Dion recorded the song in one take, and that demo is what was released. Mottola states that since so much money was on the line for Cameron’s film that Cameron felt obligated to include a theme song to promote the movie. 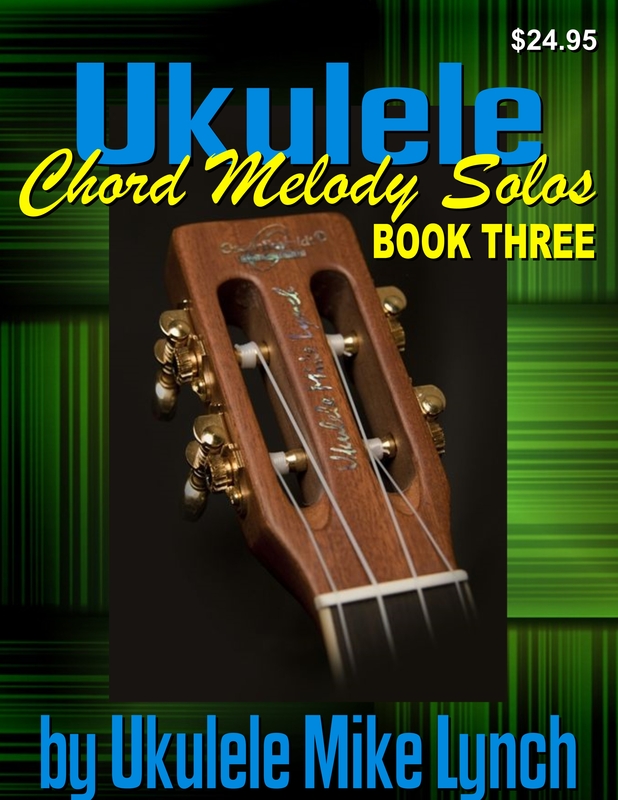 I continue to be strongly convinced that the Chord/Melody format for arrangement is THE way to go with solo ukulele arrangements. No fingerpicking is involved which means no need to make decisions as to which fingers play which strings. In Chord/Melody format everything is simply played with the thumb. Strumming the chords as indicated in the tablature also allows you to play the melody right along with them. The melody always rides on top. As I’ve mentioned many times before, often times that melody note may be placed on the second or third strings which means that one must only strum two or three strings. Be sure to watch the tablature closely to see that you do not exceed the strings needed, otherwise the melody will be lost. I chose the key of G for this arrangement as indicated by the one single F# indicated in the Key Signature. 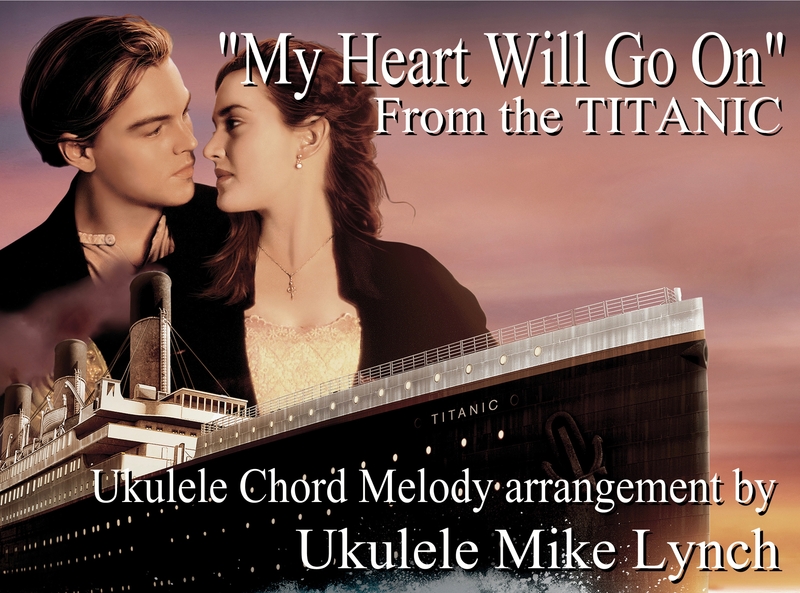 Below is a short clip of the opening few measures of “My Heart Will Go On” Note the interesting chord progression. . . So, notice how in the first three measures the melody is on the second string. We do not play the first string throughout the measures. At the end of the line it does go up to the first string and now we end up playing all four strings. Make every effort to keep the fingers firmly pressed on the frets to allow maximum sustain of the notes. The ukulele, by its very nature, is not a long sustaining instrument so we need to do as much as possible to enhance the sustain. This will lend a smoother, not so choppy, sound to our playing.